Sewing kit in a jar via Funkytime – I love that you make a little pincushion on the lid! 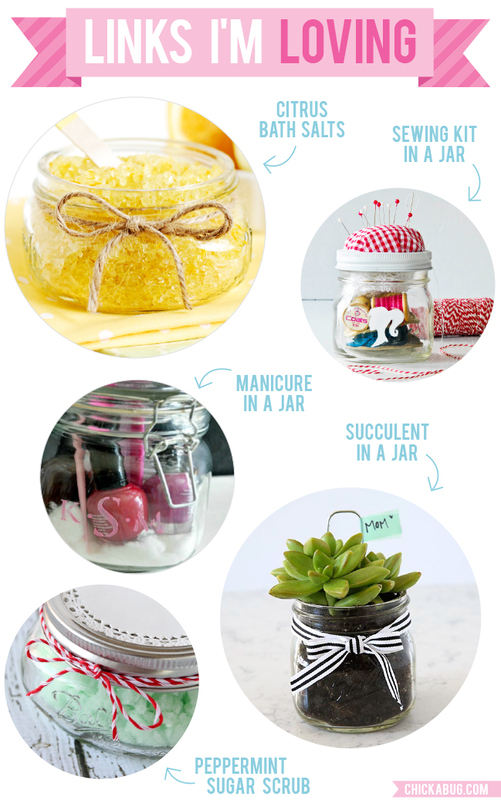 Manicure in a jar via A Night Owl Blog – what gal doesn’t love getting some new nail polish? And look closely – the jar is monogrammed. Succulent in a jar via I Heart Nap Time – ok, this is just adorable. A plant in a jar. Awww! For free Mother’s Day printables and more Mother’s Day ideas, click here.